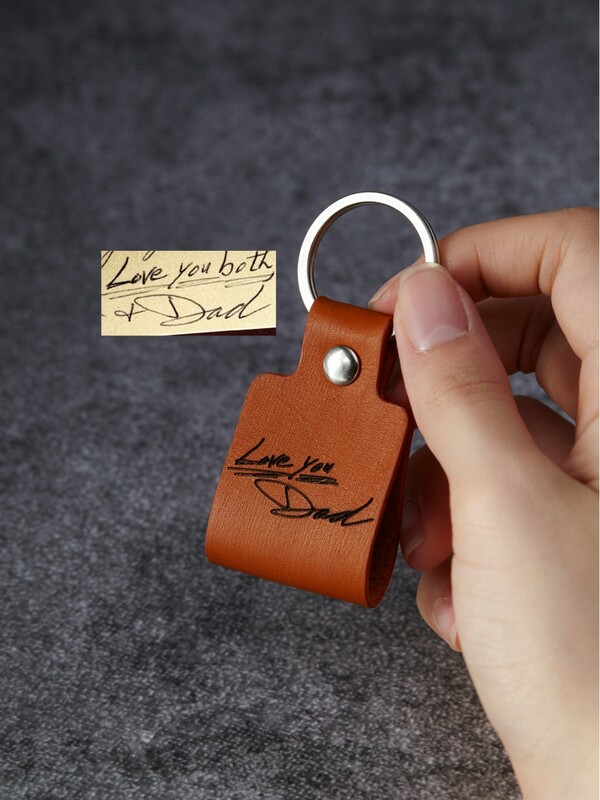 Engraved with your actual handwritten note or kids' drawing, these memorial keychains are sentimental gifts for Christmas. 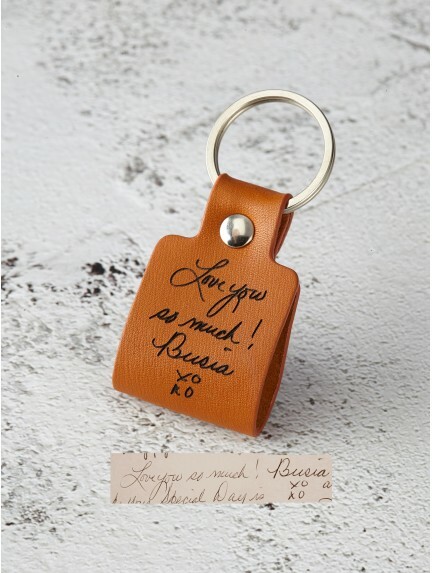 Handcrafted to order in our workshop, these handwritten keychains are crafted from quality materials such as genuine leather or sterling silver. 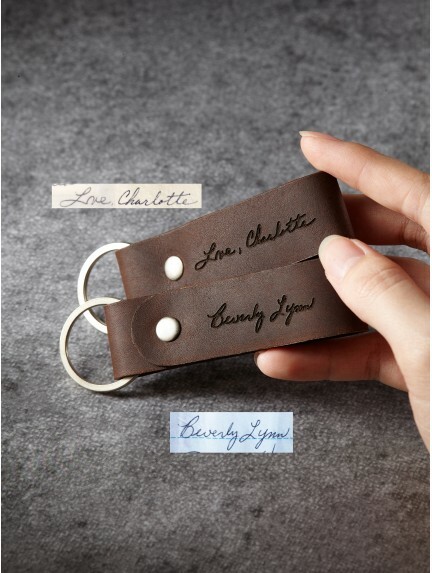 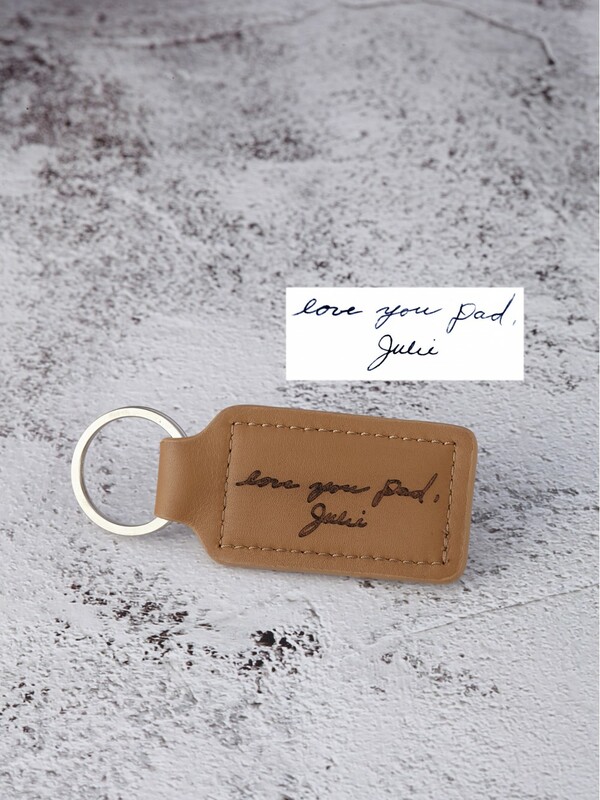 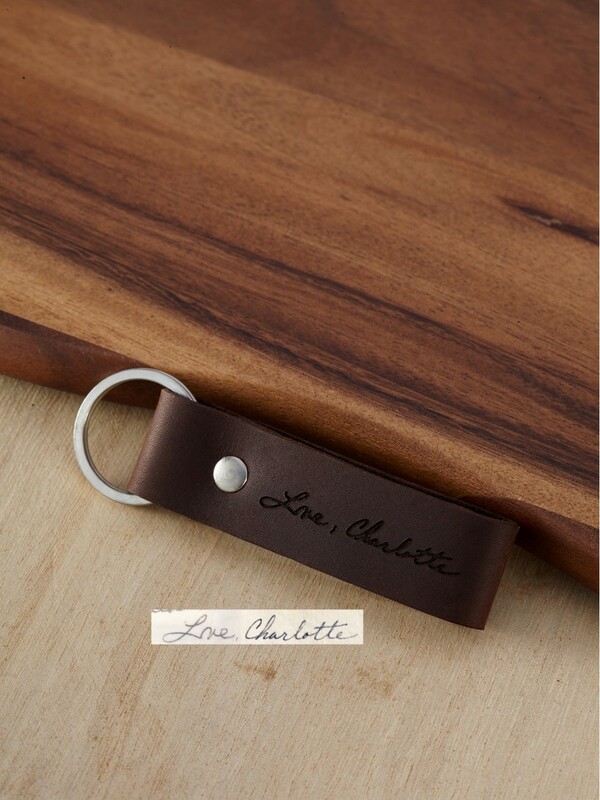 A signature keychain is a great personalized gift to remember a loved one who has passed away.